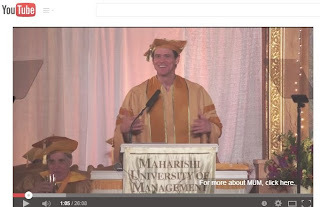 "My father could have been a great comedian but he didn't believe that was possible for him. So he made a conservative choice. Instead he got a 'safe job' as an accountant, and when I was 12 years old he was let go from that safe job. Our family had to do whatever we could to survive...I learned many great lessons from my father, not the least of which, was that you can fail at what you don’t want, so you might as well take a chance on doing what you love." Happy 106th Fathers Day America! The first Fathers Day celebration was in the Spokane YMCA on June 19, 1910 (107 events ago and 106 years ago)? 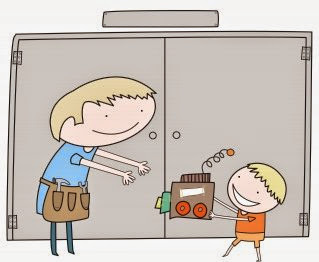 Incidentally either plural (i.e., Fathers) or possessive (i.e., Father's) can be used. This year, Google's animated Fathers Day doodle by doodler, Olivia Huynh, intends to characterize the “universality of familial love.” In 2013, Google celebrated Father's Day with an interactive doodle that shows dads in many different roles with simple clicks. Last year, Google's doodle celebrates Father's Day and World Cup with an adorable doodle moustached dad with the letter O. 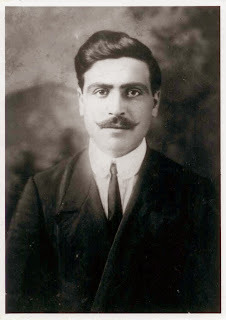 While I'm at it, I have to share a photo of my Grandfather (Angelo Buono) circa about 1908 with a similar moustache like Google doodle. Born in Naples, Italy my grandmother would tell me stories of how he became an engineer and seeked a better life by immigrating to the U.S. Around 7 years later, 1915, he moved to New York, NY and opened a fruit and produce business on Arthur Avenue, the Bronx's Little Italy. The business stayed in the family for over 80 years (1915 - late 1990's). Did you know that "Father's Day" was created to complement Mother's Day, a celebration that honors mothers and motherhood. In addition to Father's Day, International Men's Day is celebrated in many countries on November 19 for men and boys who are not fathers. Post by Gloria Buono Daly. 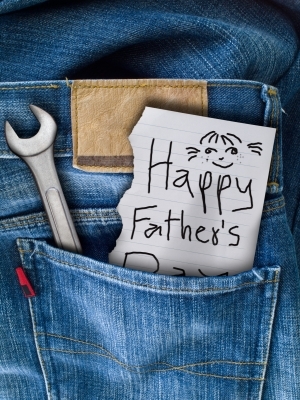 For those of us whose dads are no longer with us, (an estimate of about 100 million folks in the U.S.A.) and for the many more who still have their dad, there are so many things to do to keep his memory in your heart. Do things that your dad loved and things that brought out the best as well as visiting your dad's friends and family. I have so many fond memories as a child with my dad and other family members at the Jersey Shore that I was inspired to write a short story in memory of my dad, “The Painting Ballerina". TESTAMENT TO ALL FATHERS AND VETERANS OF THE U.S.A. 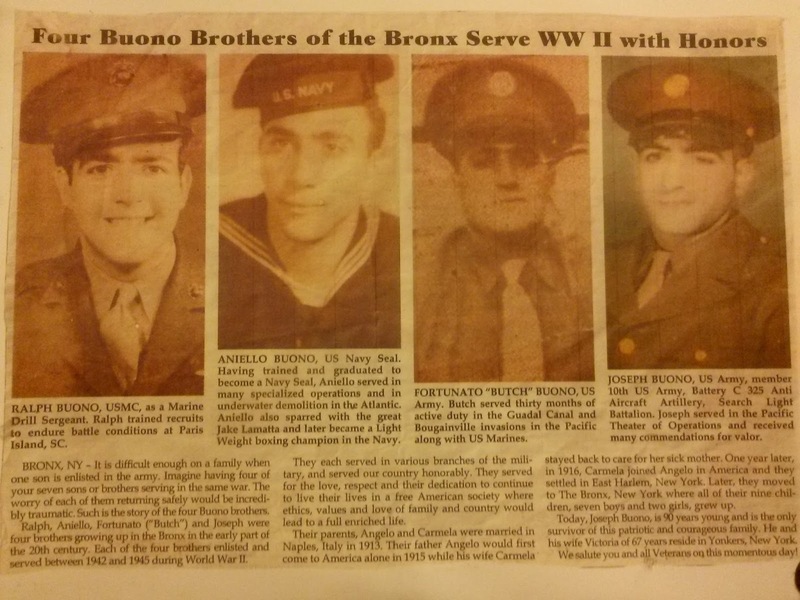 Enjoy this article originally written years ago and updated and reprinted a few times in a local Il Progresso about my late dad and his fellow veteran brothers who served WWII with honors. WANT TO GIVE SOMETHING DIFFERENT THIS FATHER'S DAY? 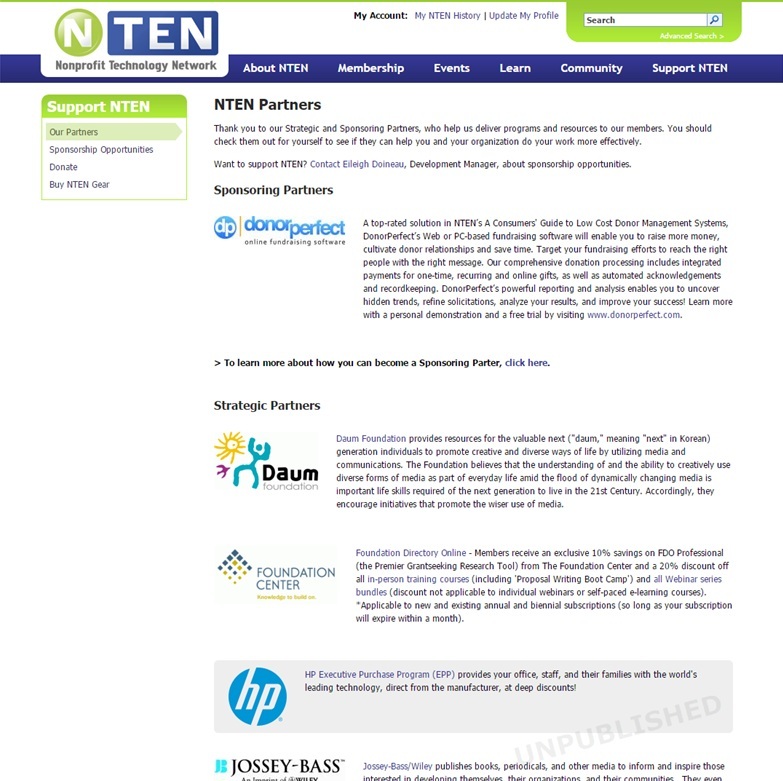 Besides baseball games, brunch in NYC or a beer cruise in NYC, and DadFests, why not celebrate "Father's Day" by donating to NTEN, a membership organization of nonprofit professionals who put technology to use for their causes. 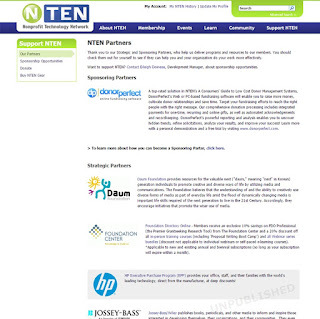 This is great especially for all you digital, tech geeks out there. What things do (or did) your dad enjoy? Are you planning anything special this Father's Day? Lovingly and appropriately, I did things that my dad enjoyed this FD weekend -- dining out at fine restaurants with friends and having lots of laughs throughout the event. Here's a few photos posted on Facebook - Ladies Night Out to celebrate birthdays of Helen and Rosann.